When it comes to the customer lifecycle, a lot of marketers and businesses are still only thinking in the linear – find an audience, look to attract them, sell a product/service, and done. But this misses a far bigger picture in the journey. While getting leads and conversions is important, it’s just one facet of the complete journey from interest, research, intent, etc. By remaining linear in their thinking, marketers are losing out not only on customers, but potential advocates and ambassadors as well. 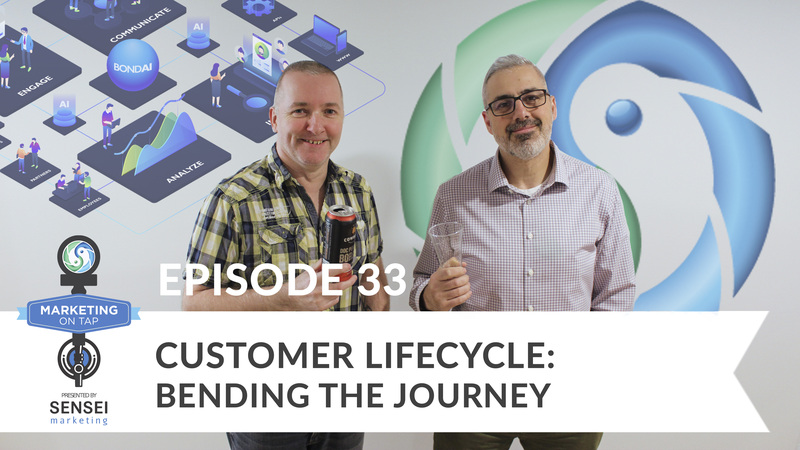 In this week’s episode of Marketing on Tap, we look at why you need to bend the customer lifecycle journey, and how you can use advances in technology and AI when it comes to determining what steps you need to take in the early part of the customer lifecycle, as well as the latter part once converted. This week’s beer is Doc Perdue’s Bobcat from Cowbell Brewing Co. Intro: Join marketers, authors and craft beer enthusiasts Sam Fiorella and Danny Brown for a hoppy discussion on all things digital over a cheeky pint or two. Topics on the menu include influence marketing, social media, brand advocacy, and a taste testing of real world digital marketing campaigns. Some are smooth, others don’t sit so well. Don’t forget to stick around for last call where the boys will serve you up one final marketing takeaway that you can go out and apply in the real world. It’s a great primer before the weekend. Sam: Welcome back to another episode of Marketing on Tap. This is my mate Danny Brown, my name is Sam Fiorella. Danny, while you’re cracking that open, let me introduce today’s topic. It’s sponsored, not sponsored that’s the wrong word. I wish, we need a damn sponsor. Somebody who’ll pay for some of the beer or something. Today’s conversation is actually inspired by a little bit of an announcement that we’re about to make, so I’m gonna give you guys 20 minutes to figure out what that is. Sam: And we’re proud of something that we’ve just relaunched in our company. And there’s been a lot of communications internally as to how do we present it. And it really reminded me of a lot of conversations we’ve had with our clients about bending the customer life cycle. Which is part of our business plan here at Sensei. And I thought this would be a good opportunity for us to chat about what that is and how it’s maybe changed over the last number of years that we’ve been running Sensei. Sam: So bending the customer life cycle, we wanna talk about the importance of, not just driving customers to be a customer, but then doing something with those customers beyond the point of purchase. So we’re gonna be talking about how do you get them to be loyal, how do you get them to be advocates, and if they’re advocates are they necessarily influencers. What’s the difference between those two. And what processes does a business need to implement whether they’re a marketing division or a company as a whole, or marketing agency. What do they need to put in place to get the maximum value out of that full customer life cycle. From awareness to purchase and from purchase to advocacy. Sam: So that’s today’s topic, customer life cycle; bending that customer life cycle. So we need some libations before we get into this heavy topic. Danny: Yes we do. So today we’re re-visiting Cowbell Brewing who are up in Blythe, Ontario. Danny: We need more cowbell. What’s that Spinal Tap, you need more cowbell. We’ve had one of theirs before, I think it was Boxing Bruins or something. That one, what was it? Absent Landlord. Danny: And this one is Doc Perdue’s Bobcat. Which is as you can see, it’s a red ale. Danny: However, what they’ve done is, so this is why I’m curious about your guys’ reaction, what they’ve done is a mixed up West Coast American pale ale and IPA’s to inspire the Bobcat. So they’ve got hops you’re gonna find in an IPA, and it’s got English ale yeast you’re gonna find in a pale ale. Sam: They’re screwing with me, they’re giving me a red amber, but they’re putting an IPA taste of it. Danny: So it’s like a red amber, we’ve got pale ale and a IPA. Sam: Cowbell, I haven’t tasted it yet but I am not happy. Danny: Let’s see what Rob thinks of it. He’s looking scared, so this could be interesting. Sam: I know Robert’s already got [inaudible 00:03:24]. Danny: It’s only 5.5% ABV and 30 IBUs, so again should be easy drinking. Sam: Alright Rob, let me get the video going. Danny: Should we go on? Danny: I don’t, I wouldn’t have thought he was gonna like that. Sam: Okay this is not a Rob approved beer. Danny: I’d say it’s more like a sessionable IPA. It’s not like the traditional IPA. Sam: No I like that one. I do think I like the Absent Landlord better though. Sam: Let’s get back to this topic. What is bending the customer life cycle. Maybe let me just throw that out there for those of … I mean, you know what it is obviously because that’s our entire business model, but for the people that don’t understand, this whole company was really started on Sensei’s perspective, and this is not an advertorial for Sensei, but just for point of reference, was really started around the idea that we need to do more than just drive leads. Sam: Don Whitbeck, my business partner and I, when we looked at this we said okay, driving leads is how most marketing companies fail long term. And actually most marketers in general fail long term because they’re looking after those short term metrics. Vanity metrics. Let’s drive leads in and whether it sells or not is really not up to us, that’s really the sales team. Danny: Did I make the right decision? Sam: … did I make the right decision. So you have a short period of time for your team to convince the customer that they made the right decision. That what was promised to them is exactly what they’re getting. And that length of time and the processes are different based on the product. If it’s a car versus a pack of gum obviously. Sam: And then once they pass that phase, okay they’re loyal. But being loyal doesn’t mean you’re an advocate, being loyal means that if there’s a problem they’ll stay with you. They probably won’t go find another vendor. Becoming an advocate is beyond loyalty. Loyalty is, I’m gonna be here even if you screw up once in a while. An advocate is somebody who will go out of their way and voluntarily drive leads. Sam: And recommend you. But they’re a customer. And that isn’t necessarily an influencer, right? 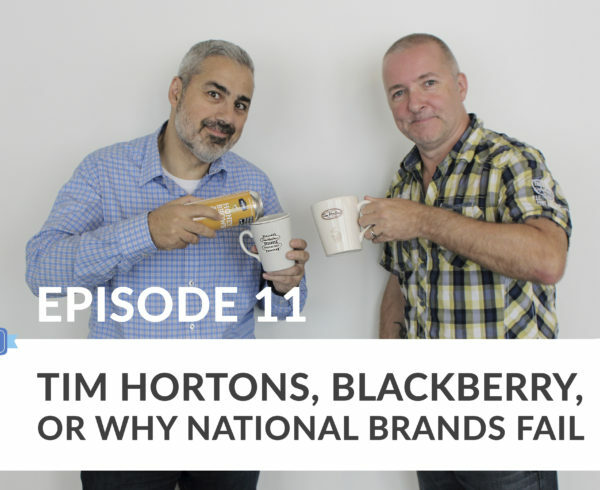 An influencer is likely more somebody who can drive awareness or drive leads just because they’re incentivized in some way, or they like your brand. They don’t necessarily have to be a customer. Sam: So the goal here of course in terms of bending the customer life cycle is that if you’ve driven awareness to purchase right? Awareness, consideration, purchase. And then from purchase they go from being satisfied to being loyal to being an advocate. The idea is that those advocates will drive leads. And those leads will then give you more quality leads basically. They’re the more quality leads, more convertible leads. And it’s been proven that customers that come in from other customer referrals, drive a higher lifetime value. Sam: That’s really what you want. So that’s what this bending is, is having all of this work. But the problem is, doing that means you need some type of process to follow people along that path. And that’s where bending the customer life cycle is. I think this is one of the biggest challenges. Danny, how many times do we ask a new client, or frankly even an existing one, tell us the average customer lifetime value. Danny: Exactly, and when you can’t, well. Sam: I mean it’s like trying to explain calculus or algebra to a three year old. And I shouldn’t criticize clients or prospects, because marketers just haven’t been trained necessarily this way. Unless you are a really sophisticated marketing organization, most marketers are not trained that way. So customer lifetime value is the value that a particular person, a customer, will drive to your business over the length of time that they are on average a customer. Sam: So if you buy a car every three years, are you likely to buy a car from that brand like I am? I’m a Mercedes driver now, I can’t imagine ever not being one. So that’s every three years I got another Mercedes. So they know that the average lifespan of somebody my age, an advocate, I am an advocate for them, is x number of years, that means x number of cars times $50,000-$60,000 a year, that’s my lifetime value. And that’s if you don’t take into account my advocacy. And how many sales I might drive because of my advocacy of that brand. Sam: This is what you need to figure out. But let’s talk about those steps along the way, in the time that we have. Starting at the beginning of the customer life cycle, how do you drive somebody from awareness to consideration to purchase, when it comes to acquiring a customer. The first side of this cycle. Danny: Depends on your awareness campaign. Are you grabbing emails for example. And then you’ve got automated drip campaigns that you can now say okay, after one day of message what happened, three days message two down, or seven days; and you can start to filter out who’s interested, who’s opened to click, who’s downloaded a book clip on the new Mercedes or whatever. Danny: And you’ll start to understand okay, I know who’s now, from awareness or interested, to then maybe doing more research. So now what if it doesn’t sell. Did the research on Mercedes’ sites for example, did the research from friends who’s driven Mercedes and that. So basically you’re following them along. Danny: Now that’s the simple version, using email drip campaigns. You can do the same with cookie and target non. Cookies count the website visits et cetera. So the various ways in your job or our job I guess is to [inaudible 00:09:55] where are they now in step one through six. Sam: I mean already just in those two examples there’s so many different touch points along that. And I can point to five or six or seven different books out there. Sorry hundred or thousands of books that are written about that pre-purchase life cycle and how to drive customers in. What software is there, or is there a centralized tool or process or campaign that can be run. Does it matter, which of those tactics you wanna deploy? Sam: Because one of the things that we’ve learned is if you run an email campaign fine, you got a database maybe in a CRM of people who’ve responded to an email, but how does that correlate to a trade show, and did they come to the trade show? Did they not come to the trade show after receiving an email, or did they do it and what was the cause and effect between those two things. Sam: And then if you start adding banner ads, and magazine publications, and direct mail, and free giveaways and demos. When you start adding all of that stuff together you’ve got all of these things, but does that actually build a client relationship. Is there a tool that can be used. I’m thinking Marketo for example or Eloqua. There’s marketing automation software, is that the way to go for customer acquisition management as a whole? Sam: I’m gonna challenge you there though, because while that is accurate, that’s true and that’s how they work, and there’s some really good case studies that I’ve seen from proposed companies and others like them. Even like a HubSpot and definitely one of my favorite softwares, social relationship management tool, Nimble. And so they do this really, really well in terms of developing a funnel and knowing when to engage these people. Sam: Yet, we have three customers that use those software platforms, like a Marketo, and have left. And said this is not enough. This automates our communication, but it doesn’t give us the insights that we want or doesn’t manage the customer life cycle the way that we wanted to. And what was missing in those cases was a sense of community. Sam: Because what they’re doing is, they’re communicating on an ongoing basis, and they do that exceptionally well in terms of identifying touch points of when to send certain messages as you suggested, but there’s no value add beyond that transaction. Beyond, here, here’s our latest demo, here’s our latest piece of information. Sam: One of the things that I think we’ve seen work really well, and we’ve talked about this in a few of our podcasts, is the value of building a community. And not necessarily a community that is on Facebook because you don’t own that. You’re basically giving Facebook an audience to make money from, and you don’t have the access to all of those people without paying them to get a message out to everybody every time you post. Smart business model if you can get away with it, but for our clients, there’s an issue with that. Sam: So this is where I find marketing automation software is really challenged. Is that while they can push off the communications, they don’t build that sense of community, which lends to an affinity program as opposed to a loyalty program. Danny: Like what we spoke about last week. Sam: What we talked about last week. 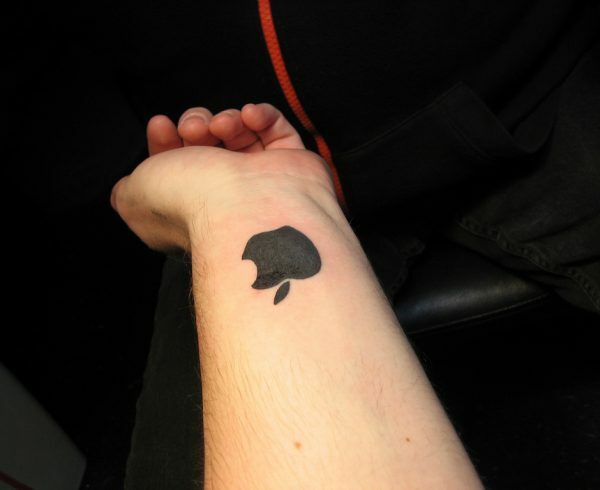 That’s the difference between an affinity program, and a loyalty program. I think that this is where my recommendation to the people that would be listening, and what we definitely do with all of our clients is say, marketing automation is fine, and I’m not saying get rid of what you have, but find a way to use that as a communication platform but in a way that drives people back to some kind of an old branded community where you can drill down. People think about that when you’ve got clients. Sam: Like Starbucks, remember the old My Starbucks. Was it My Starbucks ID or whatever it was? I remember that was a hundred case studies around that. And from what I remember there is people got to join, and you didn’t have to be necessarily a customer. Anybody was welcome to be a member, and they could make product suggestions. So they gave people a reason to engage other members as well as the brand. Sam: We know it’s important in the customer development standpoint. Once they’ve made a purchase you wanna build a community of your existing customers, how important … Am I just blowing smoke, or is that important on the front side? Danny: No I agree. I mean we look at one of our clients, we have a very strong community, about 30,000 strong or whatever it is currently. And that’s got existing customers are applying and people that are curious about what a [inaudible 00:15:16] makes. Sam: That’s actually a really good one. [E&B 00:15:20] right? With that, I think that’s a really good example because that’s a community, an own branded community, that provides value to perspective customers and competitors customers. And then it allows them to engage in a platform with existing customers. So there’s a whole mentorship program that’s happening there. I think that’s a great example. Sam: It wasn’t the one that I was thinking about but I think it’s a really good one, because it allows customers and again, competitors customers and prospects all to sort of support each other. And then in that particular case there’s no selling. The brand is doing absolutely no selling within that community, they just sponsor a peer-to-peer mentorship group where they all help each other grow their businesses. Which I think is a good way. But that definitely leads to another question which is, how do you make sense of all of that data? Sam: Big data’s a big word. Danny: Big data, AI, Artificial Intelligence. Sam: That’s really misunderstood though, I find that a lot of people throw those words around. They throw big data around, they throw AI around, but they don’t really have a clue the differences between them. Where are we today with AI? Danny: If you look, we’ve got sort of three versions of AI. Where currently you’ve got generals … you’ve got narrow AI, you’ve got general AI and super AI. So narrow is basically we’re doing what Facebook Messenger does. You message a brand, give it a minute, and are you interested in this, blah, blah. So that’s your simple. Sam: That’s essentially a drip marketing campaign. Danny: Exactly, Google Maps, Google Translate, Alexa, Siri, that’s all narrow AI’s tops for something. Programmed for responses but it can’t then continue to think ahead for different questions. Where we’re currently at more or less is general AI. So that’s where Artificial Intelligence programs have learned to think of the next step. Danny: So when you ask Alexa, using Alexa for example. Okay I’m flying to Philly, what should I do. 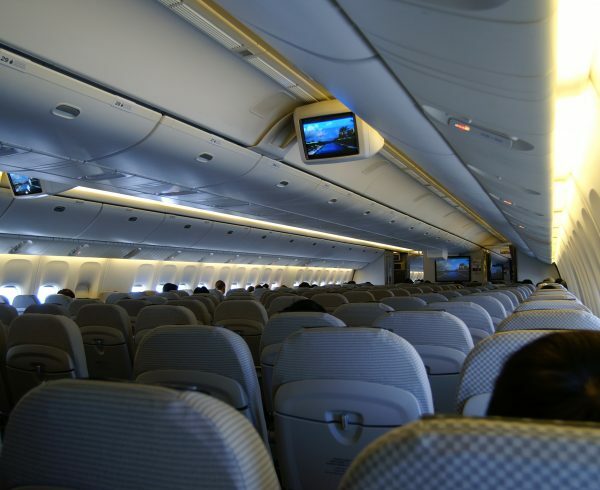 Okay so book your flight with this company, and this company knowing your likes and dislikes when you’re on a business trip or bachelor trip; can make recommended itineraries for you, make sure you visit xyz. So they’re thinking ahead. They’re thinking of ways to solve problems for you that a human would solve. Danny: And then you’ve got the super AI, which is way, like something you think that’s got essentials. And that’s were AI would completely go beyond what we can manage ourselves, and sort out ourselves. The problem with AI I find, and AI it’s awesome, it leads to help us and help solve the issues like that, but there’s still always gonna be examples that AI can never compare to a human. Danny: When it comes to art, someone’s an artistic designer et cetera, based on historical events that happened to you, that’s personal to you and AI can never make it. Sam: How you interpret that part you mean. Danny: Exactly. We’re kind of at the general phase at the moment where they’re learning, they’re taking next steps, and they’re providing solutions. Sam: Well maybe we can tease a little bit now. Robert can I talk about the … So you may see a different screen behind us right now, that’s because we’re in the middle of a promotion relaunching our software, which is bondai.co. And it would take some of these principles, this is why it’s been such a big conversation in this office for the last year in particular. Sam: With one of the things that we looked at is, that we need to go beyond that basic. It’s one thing to just automate, ’cause then we’d be trying to replace Marketo and all the rest of them, and that isn’t our goal. We found that there was an opening there where data that comes in from Marketo and is potentially spit out from Marketo, needs some type of an AI tool that allows a community to form and have organic conversations, organic engagements. Something that wants people to come in and share data. Sam: But then take that data, merge it with data from whatever internal software the companies have. So be it their accounting software, so how often do they buy a product, and then merge that data with what offers and benefits are they getting within a community. Or who are they talking to, what’s their level of advocacy. And then merge that with how many people open an email that potentially, like an Eloqua or whatever software sent out, or Salesforce.com sent out. Sam: By merging all of this data, what we can look at is … this should be a drinking game, every time a marketer says 360 degree view of a client. And I don’t mean that specifically. What we can do is we can start to analyze, which clients, or in this case, which prospects, looking at the pre-purchase life cycle, what’s the profile of a customer who comes in and takes these three engagements, or based on their profile matches other profiles, and have taken these three engagements. We now can start to look at where are they along the customer life cycle. Is this somebody who is ready to purchase? Are they at an engagement standpoint? What’s the likelihood that they’re going to convert? Sam: And then if they do convert versus those that don’t convert, the AI, at least in this case, can start to make recommendations about this client. And start to build profiles that they can then recommend who we can target and bring in. I think that this is gonna be the key for communities and customer life cycle management. Sam: That number one if you haven’t already figured out what your customer life cycle is, what are the steps. What’s the profile and the tactic of getting somebody into the awareness stage, getting them into the consideration stage, converting them, satisfaction, loyalty, and advocacy. If you don’t have that mapped out then you don’t know what tactics you’re running, you gotta start there. Sam: And then you gotta look at your customer lifetime value, identify what your customer lifetime value is, because only then will you know who are the best customers that you want to bring into that funnel, that you wanna nurture, that you wanna focus on. ‘Cause that’s how you’re gonna maximize that effort. Danny: Can’t [inaudible 00:21:52] say it’s not just on the money they spent, it’s the money people they bring in spent as well. Sam: That’s right, now this is where influencer marketing is seen as, let’s just hire a bunch of half clad women, shills, to hut the product, but it is let’s look at our existing clients. They’re our best advocates, our existing staff, our best advocates. Which is why this platform that we have allows staff to engage clients, and clients to engage prospects. Building that dynamic. But those two are where even sophisticated companies have gotten to. Sam: The third function once you’ve done those two, is identifying what type of an own community or AI could I use that analyzes that big data. ‘Cause one of the problems with big data is a lot of people collect all of this stuff, and that’s the CRM problem. We’re collecting data but now what? Danny: What do we do with it. Sam: What do we do with it right? It can get into predictive indexing, it can get into profiling, and at some point it could potentially automate a little bit of a customer service. If it’s done well based on that profiling. So that’s I think the next step that marketers need to be looking at. Sam: I’m getting the signal that it is our time, so that’s our bell. Danny: Answer the bell Steven. Sam: Our last call. So I’ll leave it to you, I’ll give you the first crack at this. What’s the one takeaway you want to give people listening? Danny: There was a lot to cover today. Danny: And I wanted to move up to a two wheeled bike? Sam: How would you do that, what would you tell them. Danny: It’s like you said. It’s looking at all the different touch points and understanding what that touch point means and how to actually reach the people that’s in that particular touch point. And using whatever tool it needs to be to help them understand that. Sam: And I agree in a way, but I think that you have to go beyond just the technology. Too often, and this is my takeaway, don’t get sucked in by this is the technology that makes my life easy. This is the technology that allows me to send more emails faster, and allows me to provide fancy analytic charts. That’s all nice and good to have, but it has to go one step beyond. What am I learning from this data, what recommendations is it giving me beyond when to send the next email. Sam: I mean, I would be looking at what is this software giving me to inform my sales people, so who to call. Or informing my staff at a trade show, how to develop that trade show booth. What promotions to have, what works with different types of people. Danny: Get your service team, who’s your company. Get them to reach out. Sam: Or linking customer experience people, customer service. One of the things that I love is that our customer service teams can actually login to our platform, is just one example that we’ve seen work really well. That they could benefit from what the AI is learning in terms of how to deal with your existing customers when there’s a problem or when there’s a question. So you’re actually bringing in the rest of the team. Sam: So it has to go beyond just what’s the simplest and coolest software. There’s gotta be some lessons learned, there’s gotta be an owned community that you’re not shipping off to a social network. That’s my recommendation. Sam: I know this is a difficult conversation to listen to I would think, because there’s a lot of weeds to get into here, which is quite frankly the reason we drink when we talk about marketing. But I think it’s an important one to have. Sam: So anyway, if you’ve got any questions about any of that, by all means give us a call, leave a comment down in the bottom, or if you haven’t figured this out yet, we’ve got a different background. This is the relaunch of our AI powered community management software, BONDAI. You’re gonna wanna take a look at it. Bondai.co if you’re interested in anything that we’re talking about, this is what led to that. So it’s a subtle plug. Given how not a damn beer company will sponsor us, we’re gonna have to sponsor ourselves and put in a little bit of a plug. Sam: Anyway guys, thank you very much, until next time cheers. Thanks for listening. 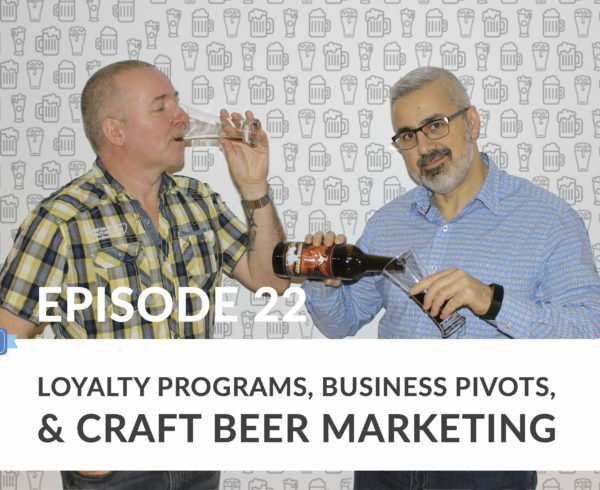 Outro: You’ve been listening to Marketing on Tap with Sam Fiorella and Danny Brown. If you enjoyed this episode make sure to subscribe, so you don’t miss the next one. And please feel free to leave a show review. That’s always worth a cheers.